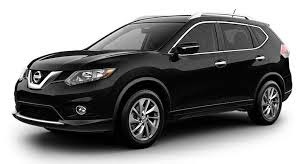 Home Nissan Rogue Nissan is recalling its 2014 Rogue vehicles for a bolt that may losen in the steering assembly which could cause a crash. Nissan is recalling its 2014 Rogue vehicles for a bolt that may losen in the steering assembly which could cause a crash. Nissan North America, Inc. (Nissan) is recalling certain model year 2014 Rogue vehicles manufactured January 10, 2014, to January 17, 2014. In the affected vehicles, an incorrect bolt may have been used to connect the intermediate shaft to the upper steering assembly. The incorrect bolts could loosen and fall out resulting in a loss of vehicle control and increasing the risk of a crash. Got a lemon Nissan Rogue?